Partner garnered a Polaris Music Prize nomination and a SOCAN Songwriting Prize win with last year's debut LP In Search of Lost Time, but the Maritime outfit are already back with a new track and ready to hit the road again. 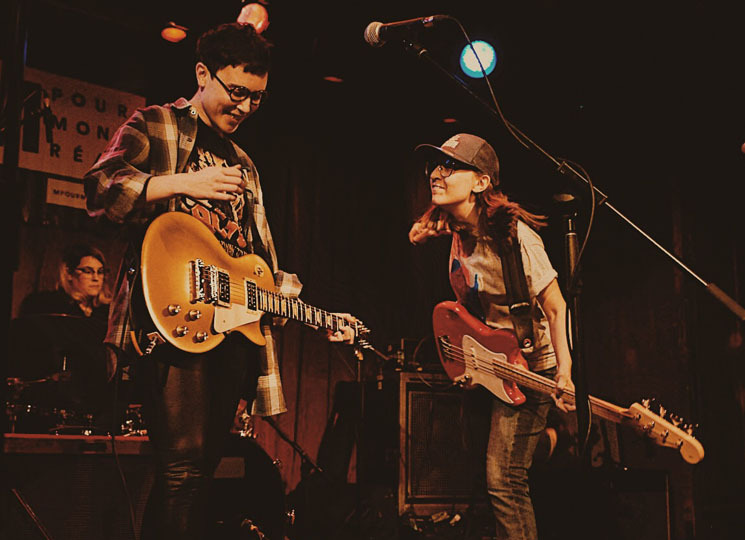 The band led by Josée Caron and Lucy Niles have unveiled a new song called "Lost My Pick, Can I Borrow One?," which hears them asking to borrow a guitar pick moments before a show is about to start — but not "one of those floppy ones." Crisis averted, the song then descends into a spiral of scorching guitar solos. Give it a listen below. Parter will be embarking on a string of shows along Canada's West Coast and the U.S. in the new year. You can see the upcoming tour dates below, as well.